all my comics to the nearest dumpster I can find and rid myself of all these worthless possessions forever! Are they really worthless? I need help. …I just discovered I have 5 comic books worth over $100 a piece! Hi, Dave Gieber here. I have had a raving interest in comic books since my young and informative years. So much so in fact, that I started a comic book site in late 2004. I have since grown and maintained that site to this day. And as my comic book collection grew, I also had a burning desire to understand their worth! Sound familiar? 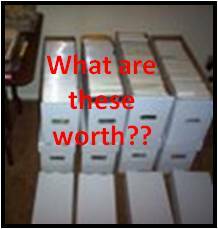 1) How much are my comic books worth? 2) Where can I sell my comic books? These are not straight forward easy to answer concepts and requires due diligence and time to address. While I have tried to answer these questions individually as I receive them from my site visitors and newsletter subscribers, I have not been able to go into detail as much as I would like. And it does get quite time consuming answering everyone individually! So why not create a course one time for everyone interested? I asked myself this 3 years ago. Well in the last several months I have been hard at work generating an in depth lesson plan to answer these questions. And Comic Pricing Academy was born. · What are the best auction houses on the Net? You may or may not have heard of many of these tools and sites. In my 9 years of comic book research and site building, these are the most important resources (of thousands or even millions available) that I have found important for new and old comic book collectors to know about. I have boiled down what would take you probably hundreds of hours to research into weekly lessons available at your fingertips! Comic book price guides are a good first attempt at what your comics are worth. But there are other resources that give you real world price of what comic book sellers have actually obtained. You need to gather as much data from different resources as you can to determine a rational estimate of your comic books. 3rd party certification has become a major player in understanding comic book worth since the turn of the century. Comic Pricing Academy will explain how to obtain 3rd party physical grading, how much it costs and how to determine if this process will be worthwhile or not. This is very important. It is not economically worthwhile to certify many of your comic books. Follow my lessons and you will become knowledgeable on how to save money in this arena! One of the biggest misconceptions that comic book collectors have is that hidden in their collections are gems that they could retire from selling. NOT TRUE!!! Let me state that again in different words. Rarely do most comic book collectors have comics that are worth enough to retire on. Yes there are comics in the world that are worth 4, 5, 6 and 7 figures. In the last several years there have been individual comic issues that have sold for 1 million to 2.1 million dollars. And as with any lottery, you have a small, very small chance of having one of these comics in your collection. So, what is my collection really worth? But do not fret. Your collection could still contain many comics worth $10, $20 or even $100. Who knows and you might get lucky to have a few worth several hundred or even a thousand dollars. Discover a few of these comics and your collection will start to show some considerable value. But you won’t know this until you start taking steps to understand each of your comic’s true value. Once you understand their value, you then need to know where you can sell your comics, if that is your end item goal. My 26 week tutorial will give you complete knowledge on how to achieve these goals. Although I consider this course to be invaluable (why not, it took me a lot of painstaking effort, but it was fun) I am starting with an introductory price of $19.95/mo for 6 months. That is only $4.60 per lesson. Less than the cost of one or two comics at today’s newsstand prices. BUT, you are one of my cherished subscribers, so I have a special deal if you have made it to this page. I am offering a special subscriber rate of $9.95/mo. 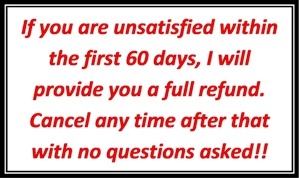 You answered my survey questions and have also continued to support my newsletter, so I feel you deserve a special price. And I really want you to understand your true comic book worth & where to sell them if you so desire. So for you, $9.95/mo for 6 months! …be able to help your friends evaluate their collections!! Imagine becoming their hero. 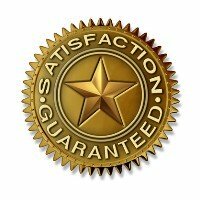 You are covered by my full guarantee!! So how about it? You want to become a comic book pricing and selling genus? You can with Comic Pricing Academy! And if you are not satisfied, you can cancel at any time and not receive the next month’s lessons. I have not found an in depth comic book evaluation course like this anywhere. I truly hope it will give you the knowledge needed to understand your comic collection’s true worth. PS: As this is an introductory offer, the price could go up at any time. I hope you take me up on my low price now! PPS: I take all the risk. You will lose nothing if unsatisfied. PPPS: Never be at a loss about your comic book value ever again!